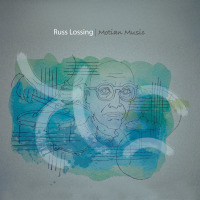 A focused session of collective free improvisation conceived by pianist Russ Lossing, Metal Rat features the spontaneous interplay of three sympathetic musicians. Joined by violist Mat Maneri and bassist Mark Dresser, Lossing booked a recording studio for a mere four hours to instill a "real sense of urgency" to the proceedings. The ensuing session benefits from this pre-imposed constraint by lending an air of palpable tension to the work. Full of simmering intensity and dramatic flair, this is dark, intuitive chamber jazz at its finest. 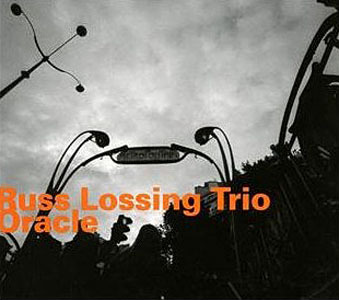 The album is composed of four trio excursions, four duets and two distinctive originals written by Lossing, the blistering "Turn" and the introspective "Is Thick With." The majority of the pieces are brief sketches, from two to four minutes in duration, with "Ch'ien" the only exception. At fourteen minutes, it is the album's tour-de-force, an epic suite of turbulent emotional transformation, circumnavigating jittery agitation, hopeful optimism and bittersweet resignation. Throughout the record, Lossing reveals a shadowy, modernist sensibility; melancholy pointillism, spectral glisses, pulverizing clusters, and searing embers erupt from his keys. 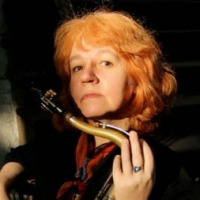 Maneri's microtonal viola technique is singularly expressive, a hollow, crying tone that glides from mournful to caustic. Dresser's resonant bass playing is typically magnificent; his sinewy arco work is especially plangent. The trio stretches formal concepts of accompaniment, call-and-response and counterpoint with clairvoyant elasticity. No one player dominates as each responds in turn with confirmation or confrontation. Their intuitive declarations spur on new avenues for exploration. The session unfolds gradually with chamber-like restraint, punctuated by sudden interjections of taut dissonance. Employing a monochromatic palette of deep chiaroscuro, the album alternates between unsettling agitation and somber melancholy. Metal Rat is a subtle, rewarding document of free improvisation from three acknowledged masters of the form. Track Listing: Coming To Meet; Ch'ien; Turn; Damp(ness); Is Thick With; Dry(ist); Metal Rat; Hidden Lines; Fire Monkey; Their Blood is Black and Yellow. Personnel: Russ Lossing: piano; Mat Maneri: viola; Mark Dresser: bass.